My split top roubo bench needed a center insert…I was getting annoyed with things falling in between the two top pieces and not feeling like I could lay things across the gap, and it was sort of in the plans all along. Every woodworker needs a bench, whether its a 8 ft long french workbench with full through dovetailed joinery and a deep brown colored wenge end vice, an old dinner table, or even a stack of pallets, a bench is what lets you to do what you do…nothing more to it. 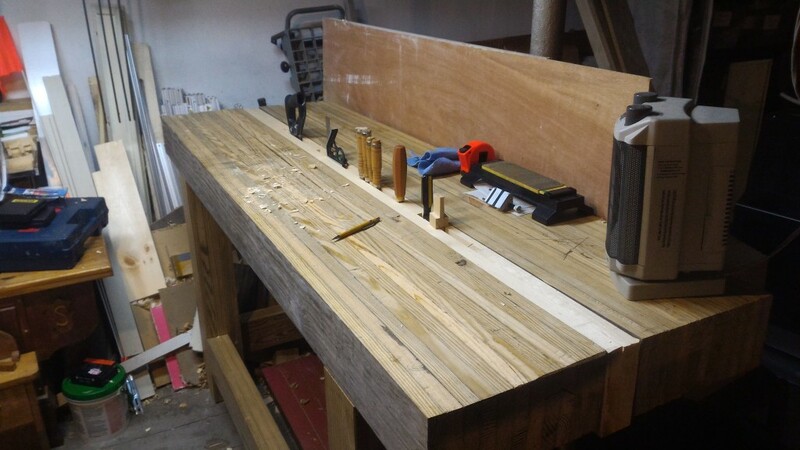 I have read many articles detailing what type of bench feature you need to do X, Y and Z, and in the end, it comes down to just needing a sturdy flat work surface and the rest will follow suit.